A unique formation, a driven company leader, and a very committed team of geoscientists and engineers combined to break the code that unlocked vast new unconventional oil and gas deposits. The spectacular blowout in 1901 at ‘Spindletop’ in southeastern Texas ushered in the modern oil industry and greatly changed the world’s energy mix. 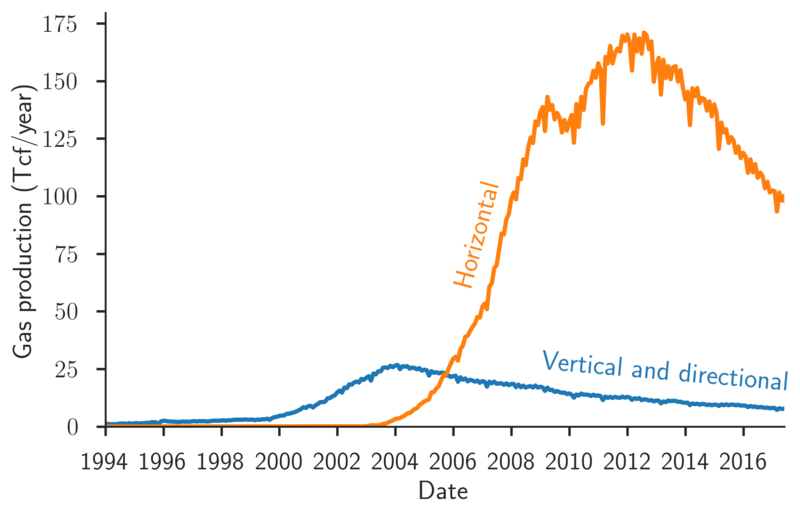 People realised the potential of oil to surpass coal as an energy source, leading to the discovery of huge deposits of conventional oil and gas around the world. 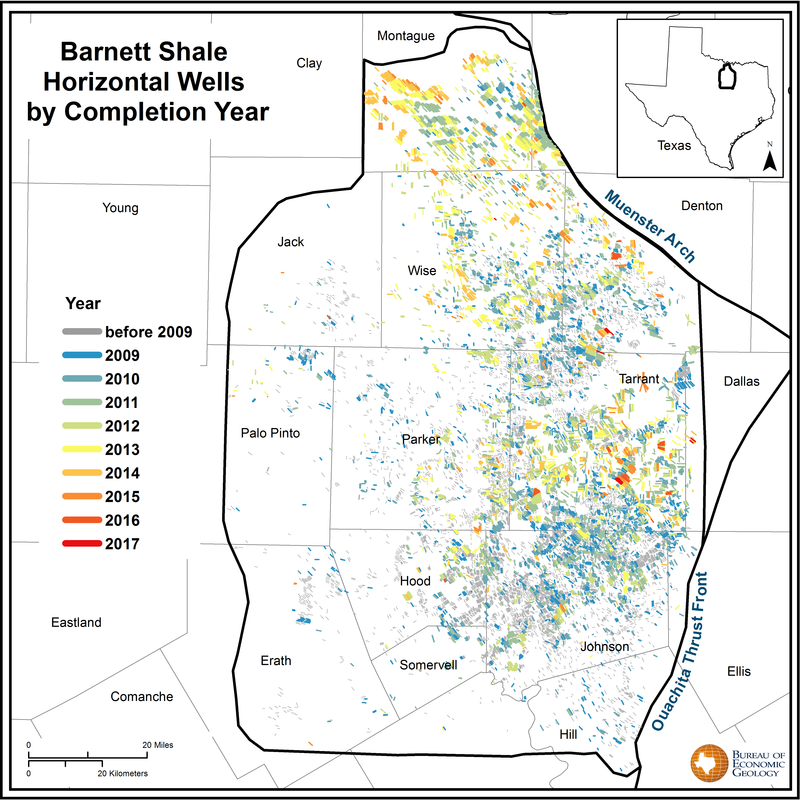 While the Barnett Shale discovery started in a much quieter way, its impact is no less important and has transformed oil and gas exploration and exploitation. The companies: Each very small for their time without the large financial and research resources of a major. Determined oil men: A self-taught geologist named Patillo Higgins tried to drill the salt dome at Spindletop for more than ten years. The first wells failed and Pennsylvania oil men Galey and Guffey were persuaded to finance another well. Similarly, George Mitchell, a Texas A&M educated geologist and petroleum engineer, spent millions drilling hundreds of wells over 17 years before finding economic success. Sceptics and the unknown: Before the Spindletop discovery, most people in the petroleum geology business thought Higgins’s ideas of finding oil in a salt dome were nonsense. Similarly, little was known about the potential of producing gas from shales. Mitchell’s own board of directors were sceptical and considered his efforts in the Barnett a waste of money. Innovation: While drilling the Spindletop discovery well, drilling difficulties and cave-ins forced the crew to pump mud instead of water down the hole to remove cuttings, a revolutionary idea at the time. 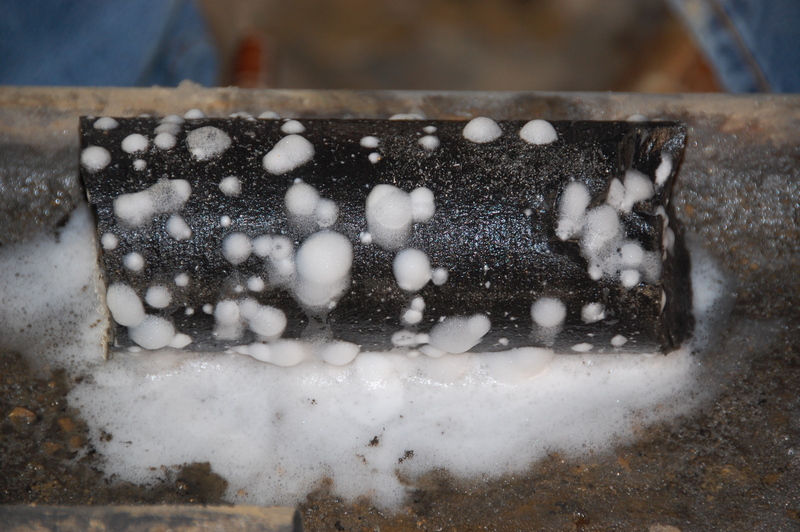 The mud worked by coating the drill hole, allowing quick progress when the well had to be deepened. The Barnett discovery got its breakthrough when engineers switched from gel to water fracks. The change in fluids used made a major difference for both discoveries and those innovations are still used today. Changing an industry’s outlook and future: Spindletop blew oil nearly 50m into the sky and caused a stampede of drilling and new discoveries all over Texas and the world. Once Mitchell proved the economic success of the Barnett, the oil and gas industry’s outlook on unconventional reservoirs greatly changed and prompted the drilling of thousands of new wells in shale basins across the US and other countries. The Texas Barnett Shale sets global standard for the largest active natural gas play in the US; pioneering the industry with cutting edge technology. Drilling locations for the Newark East Barnett field over time. Most of the early Barnett development occurred in and around Wise County. Horizontal completions after 2009 greatly expanded the extent of the field. Image credit: Guin McDaid, BEG. In 1973 the Arab oil embargo prompted a great awakening across the US; our oil and gas supplies were dwindling and we could be vulnerable to supply disruptions. As a result, the Department of Energy (DOE) was formed in 1977, unifying energy planning within the federal government by putting a host of federal energy-related agencies and programmes into a single, presidential cabinet level department. The government started to look to new sources of energy and unconventional gas was one of them. The US gas industry began back in 1821 near Fredonia, New York, where a gas well produced a few thousand cubic feet each day from Devonian shales continuously for 35 years. This seemed a natural place for the DOE to start to support research and development of unconventional resources. The Eastern Gas Shales Project (EGSP) was initiated in 1976, a year before the DOE existed, but soon became an integral part of the department’s Unconventional Gas Recovery Program. The project promoted commercial gas development from Devonian shales in the Appalachian Basin, which could contain up to 900 Tcfg. They also studied advanced drilling technology such as directional drilling and advanced stimulation technology. While this was happening Mitchell Energy was busy drilling wells in North Texas. Mitchell’s investment in the area was substantial and it needed a new gas source to reverse the company’s declining gas production, so George Mitchell began thinking about the Barnett Shale. About this time Dan Steward joined Mitchell as part of a new team of geoscientists and engineers. Dan became the coordinator between the Barnett team members as “a lot of people in the company thought the Barnett was a waste of time and money and did not want to get their hands dirty on the project”. 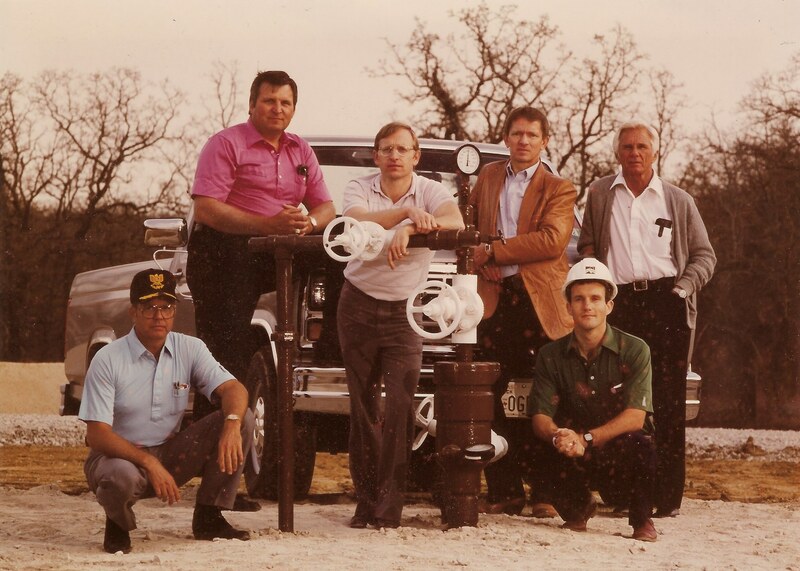 The early Barnett team in 1986 (left to right): George Wilson, drilling superintendent; Paul Westbrook, drilling manager; Dan Steward, development geology manager; Loren Vogel, reservoir engineer manager; George Jackson, completion engineer manager; Bill Pyle, North Texas land manager. Photo credit: Dan Steward and Mitchell Energy. The next 40+ wells Mitchell fracked and tested in the Barnett would also test the company’s fortitude. Dan Steward explained, “We started out with small fracks and poor results, finally going to much larger gel fracks consisting of 400,000 gallons of water and 1,250,000 pounds of sand. By 1991, Mitchell had a good position in the basin but we were still lacking a knowledge base. That was when George Mitchell said he was open to bringing in DOE and the Gas Research Institute (GRI). We started by evaluating Barnett core and then GRI sponsored a horizontal well in the Barnett.” GRI’s assessment of that horizontal well concluded, “The Barnett Shale drilling and completion economics favour hydraulic fracturing in vertical wells.” Mitchell drilled two additional horizontal wells, but the bulk of their producers were vertical. The massive gel-fracks were very expensive, most costing more than the actual drilling, but they got the job done. However, there were other problems besides the cost. Most of the reservoirs being fractured were either tight or at such low permeabilities that the formation was not able to ‘clean-up’, and the fractures had much shorter effective half lengths than designed. His idea got a boost when he met Mike Mayerhofer, an engineer working at Union Pacific Resources, who had been successfully using mostly water for fracking operations in East Texas, although they added polymers to reduce the water’s surface friction. This reminded Nick of his experience with the watery gel-frack, so to cut costs and hopefully increase production, the use of ‘slick water’ fracking was proposed to management. Barnett gas production took off after the first slick water treatments in 1998 and sky rocketed in 2004 with horizontal drilling. It peaked in 2012 but declined rapidly, with no active rigs reported in October 2017. Photo credit: BEG. “During the winter of 1997–98, we were able to stimulate additional wells,” says Nick. “However, instead of the Union Pacific Resources formula, we increased the frack size using greater volumes of water but lower concentrations of sand (now called light sand fracks) to create more micro-fractures. When the production from the S. H. Griffin No. 4 well was doing better than any well had ever done, I thought we had found the key.” The production from this well was 1.3 MMcfpd gas after its first 90 days. No Barnett well had ever done that – and it kept going. Steinsberger, in an interview with The Atlantic, said, “This was the ‘aha moment’ for us, it was our best well ever in the Barnett, and it was a slick water frack. And it was my baby.” Not only did slick water fracks work better, they only cost $85,000, saving nearly $300,000 per completion. George Mitchell was well on his way to his goal to replacing his gas source. Barnett core bleeding gas, indicating a much higher gas content than studies had predicted. Photo credit: Kent Bowker. 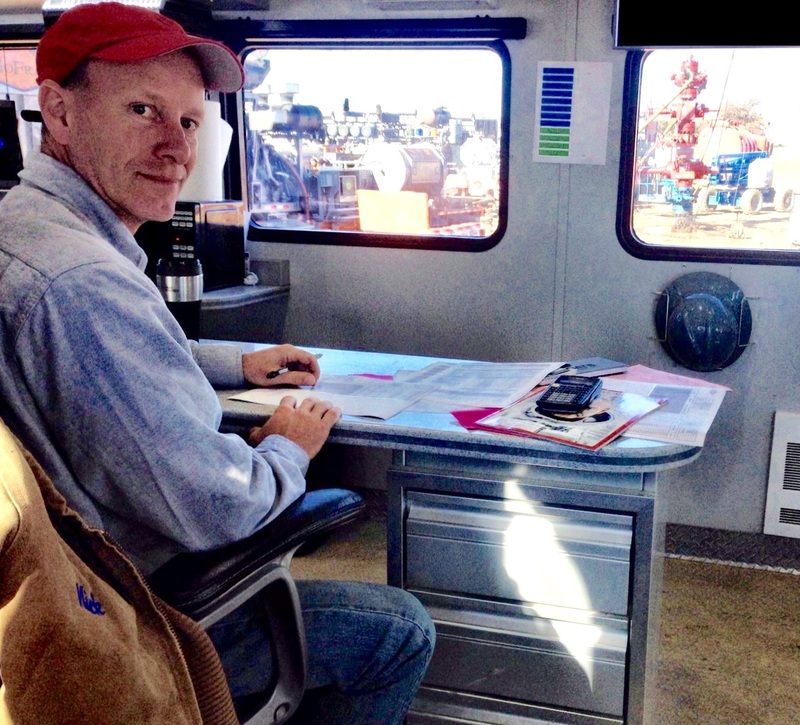 Enter a new geologist: Kent Bowker had been working for Chevron on its unconventional gas acreage, south of where Mitchell was working, and drilled a Barnett test in 1997: a 60-foot (18m) conventional core taken in the middle of the formation. “We put the cores in rubber sleeves and I remember seeing the ends bulging with gas after a short time,” says Kent. “My thoughts right then were that this formation had a whole lot more gas than previous studies indicated.” Indeed, earlier absorption isotherm tests performed by GRI contractors were much lower than the later tests by Chevron and Mitchell. “The well proved to be a failure for Chevron,” says Kent. “However, the results of the higher gas content convinced Mitchell to reevaluate the gas content of its Newark East field. 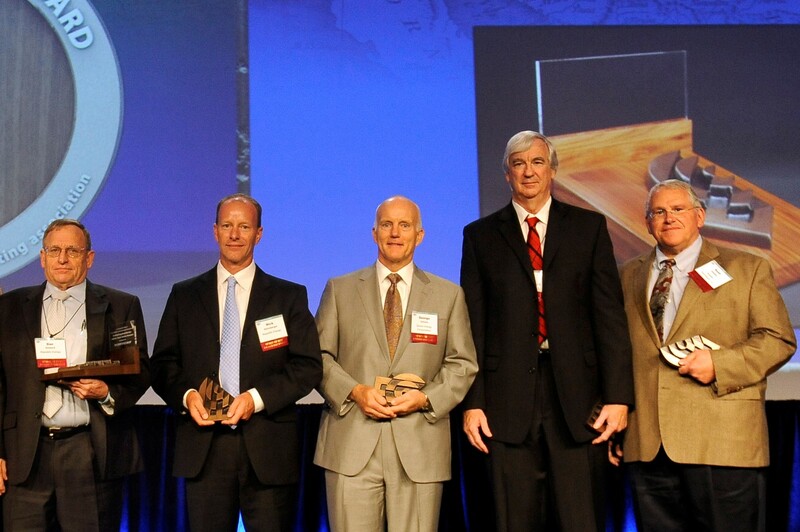 Left to right: Dan Steward, Nick Steinsberger, George Jackson, Jon Huggins and Kent Bowker receiving the 2013 Spirit of Engineering and Construction Community Award. More than 62 team members were involved with the Barnett project over 17 years. Special thanks to all the above for their help in writing this article. While George Mitchell did not invent fracking, his interest in the Barnett and tight gas plays went back to the 1950s when he noticed a layer of impermeable rock in wells drilled north of Fort Worth, Texas. He thought this could contain a lot of natural gas and obtained leases in the area, drilling his first well there in 1951. The rock was tight sandstone with natural fractures. Many subsequent wells there were hydraulic fractured, a technique developed commercially only a few years earlier. Mitchell went on to prove up more acreage prior to selling the company to Devon, who with other companies took the lead in developing the field using horizontal drilling and multi-stage stimulations. Newark is now listed as the second largest gas field in the US, only surpassed by the Marcellus of Pennsylvania and West Virginia, another shale play that was developed initially using knowledge learned in the Barnett. Not for the Faint-Hearted - book review of 'The Frackers'. Follow the personal fortunes of some of the key players in the history of fracking. Step back in time to when it all begun, this brief account will give you all the need-to-know facts about fracking. 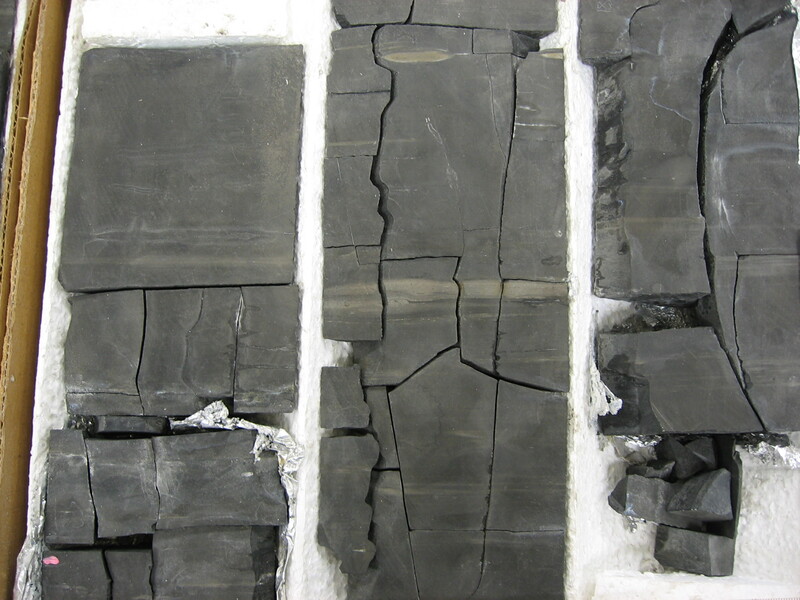 Another article from author, Thomas Smith, on the increasing popularity and challenges of producing hydrocarbons from shales. Second only to Saudi Arabia’s Ghawar, the supergiant Burgan field in Kuwait was discovered by a series of wells drilled during 1938-1952. Sitting on a huge structural anticline and occupying an area of 780 sq. km., the Cretaceous reservoirs of the Great Burgan field still account for most of Kuwait’s oil.